The technologies used in machining have been recently developing in a rapid way. Higher quality requirements, workpieces complexity, and appearance of new poor machinability materials cause the need to improve the existing methods and create new ones. One of the main problems, which limits machining efficiency, is self-excited vibrations. Such vibrations are mainly caused by the regenerative mechanism of machining workpiece surface. The regenerative mechanism appearance causes the substantial deterioration of the machined surface, tool and machine units wear. This issue is far more important while processing compliant parts made of poor machinability materials, for instance, blades or bling of gas turbine engines. The verification of the calculation-experimental method, which has been designed by the authors and allows to predict self-excited vibrations appearance in the tool/workpiece system and set more efficient machining modes, was carried out. 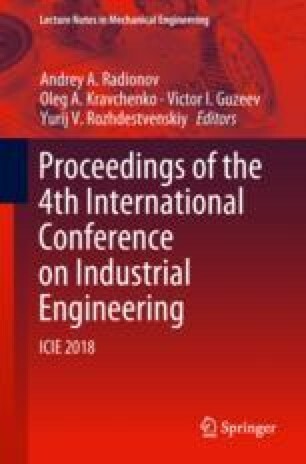 The verification of the method was conducted for the 5-axis machining of the aluminum blade of a gas turbine engine model as an example. The blade milling dynamics modeling was made with a view to receiving workpiece acceleration signals with a varied rotational speed of the spindle. “The diagram of modes” was plotted as a result of the acceleration signals analysis. The mode in which a self-excited vibration will not appear can be found in this diagram. The test experiments were carried out to mill the blade model with chosen parameters. Finally, the authors compared the experiment and modeling results to check the methods.